Little could convince Stone McNair to step away as CEO from the family business to try to find new homes for his grandmother's dogs. Especially completing the challenge with his ex-fiancee. Learning that his grandmother had inoperable cancer, Stone quickly agreed. She had assignments for each of her three grandchildren to pass. Stone needed to find homes for the dogs, homes approved by Johanna. Stone would have refused the request if asked by anyone else, but his grandmother was one of the few people who had always been there for him. He would have agreed even without the threat of losing his position. Johanna Fletcher would do almost anything for Mariah McNair. She had helped her so much when she'd lost everything. Mariah was as close to family as she now had. She would have been family in truth, if she hadn't walked away from Stone. She had no expectations from this trip. Stone had given his positions. But being with him again, knowing the passion that still blazed between them, Johanna began to wonder if possibly things could be better. Maybe it wasn't only Stone who had failed in their relationship. Maybe they had both needed to give more of themselves. Maybe this time things could end differently. Stone, however, knows that truth will only lead to the same heartbreak. 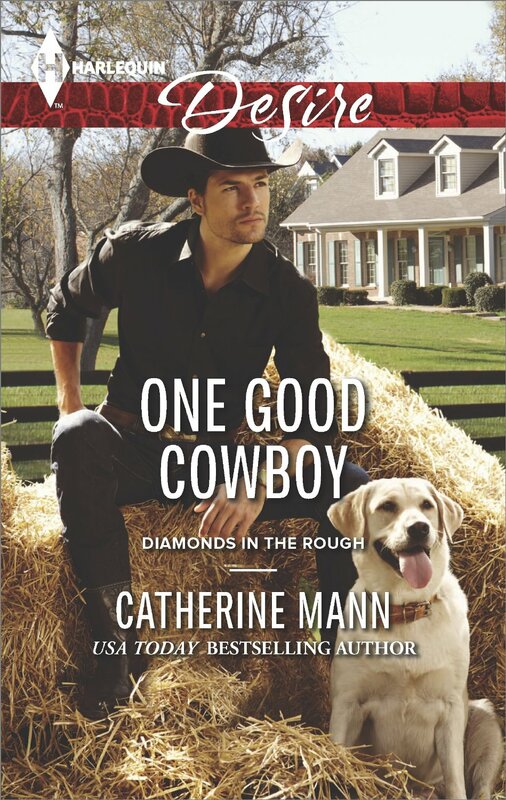 One Good Cowboy was a poignant romance of two individuals who deeply love one another, had separated, but are slowly finding their way back together. Many may consider this a last ditch matchmaking effort - but it is so much more. Sure, Mariah may have a glimmer of hope of future matrimony, but she also sees their heartache, and need for resolution and forgiveness. It is a trip of healing their relationship, but also Stone having to come to terms with the deteriorating health of the woman who has been his constant support his entire life. It is bittersweet to see the dogs settled into their new homes, but joyful too - as we revisit characters from previous series. We know that these animals are being placed into loving homes. I look forward to seeing what Mariah has in store for Stone's twin cousins - Amie and Alex.